Versatile frame design shares most component with one and two ton models. The convenient adjustable daylight and large aluminum work table make setup of tooling effortless. Top quality components are utilized throughout the manufacturing of Hastings products. Electrical – mechanical – and pneumatic components are always standard off-the-shelf components that are readily available. All machined components are painted – zinc plated or hard anodized for lasting protection. 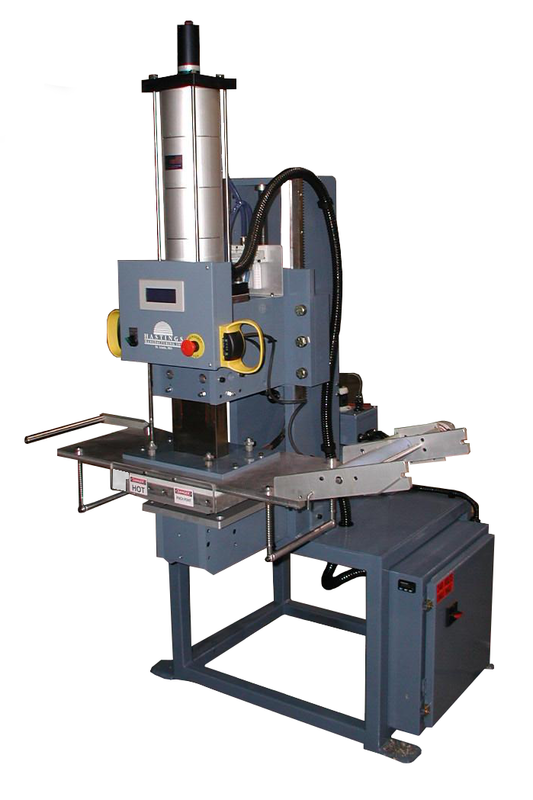 Microprocessor controlled press functions with touchscreen panel allows operator convenience and repeatable stamping. Standard features include head-up strip delay – totalizer cycle counter and setup feature that allows the head to be jogged down.